Today I am finding myself recovering from a fun-filled weekend visit with family. Sneaking in a two hour nap while Aaron plays football outside with the boys. I sure can tell my pregnant body needs more sleep either that or a sure sign I am getting old struggling to stay up until 12:30am. 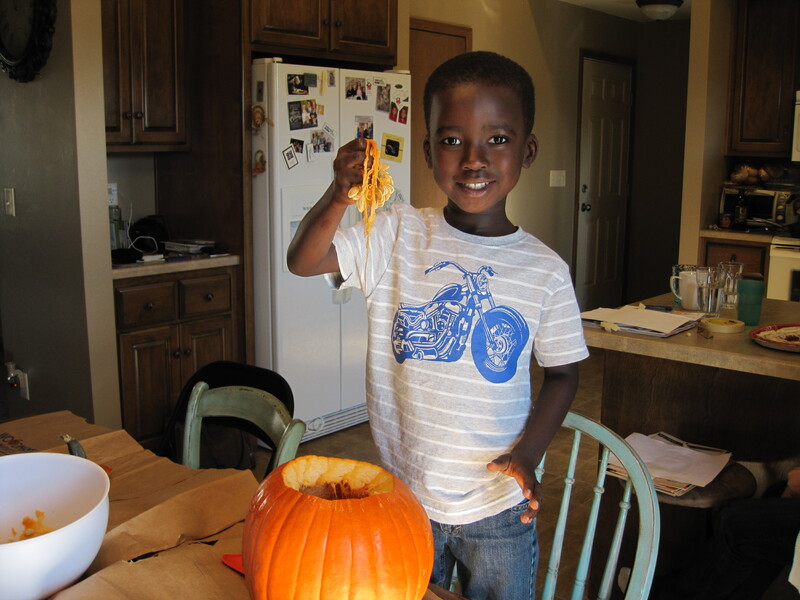 This past weekend we introduced the boys to a few fall themed activities and they loved it, soaking it all in. Although the weather was a bit chilly and windy they weren’t bothered a bit, except by the smell in the barn while looking at the animals! Face painting, hot chocolate, train rides, hay rides and pumpkins. They were really excited to carve their first pumpkin and have been asking me for weeks. I was a bit surprised how they jumped right in cleaning their pumpkin out. They both wanted to do it themselves and didn’t once complain about the slimy icky feeling in between their fingers. I would say they cleaned them out better than I ever have. It has probably been ten years since I have last carved a pumpkin, so when they asked me to free hand a drawing I was a little nervous how it would turn out. All in all I think they turned out pretty good, perhaps a set of uneven eyes. 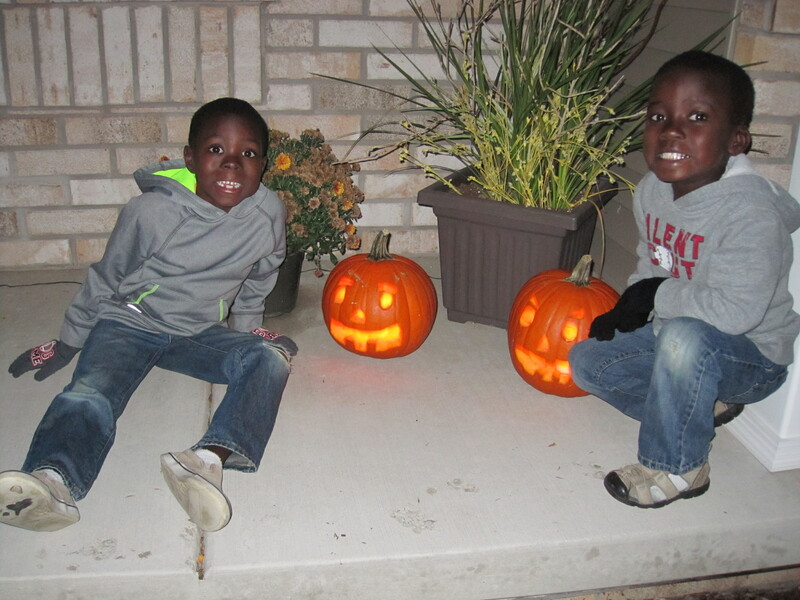 In the end it doesn’t matter, because simply seeing their smiles and excitement as we stood outside looking at their pumpkins lit up made the carving absolutely perfect! Looks like a fun filled weekend.. The boys pumpkins look perfect.